Oil colour has been used in various forms since the fifteenth century. Its rich, voluptuous nature, unique aroma and extraordinary versatility has ensured that it still maintains its standing as one of the most popular painting media today. Winsor & Newton began making colours in 1832, swiftly developing and subsequently maintaining a reputation for unparalleled excellence and consistency. 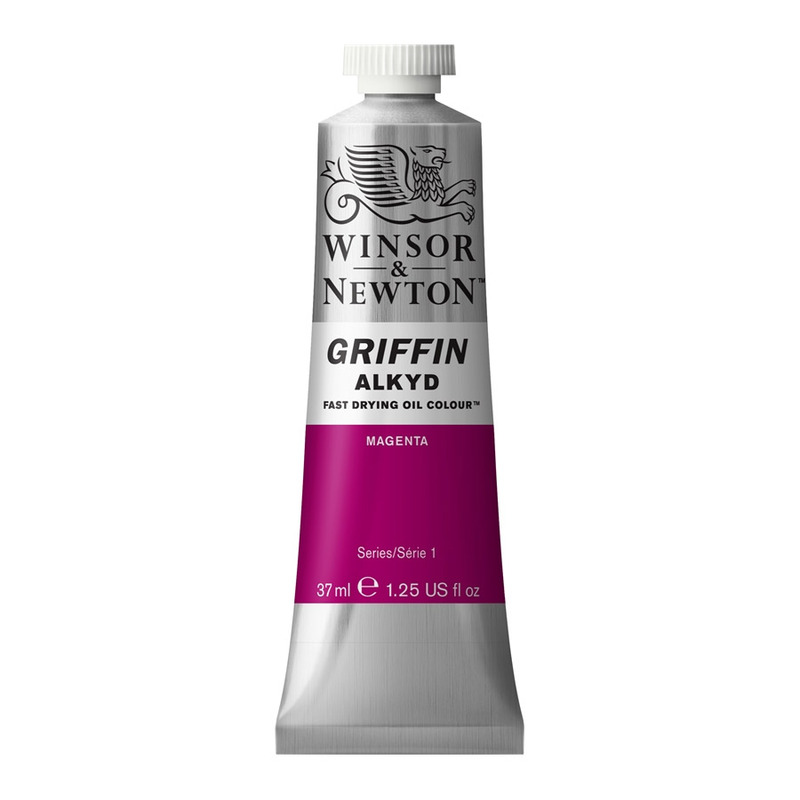 Using this wealth of colour making experience,Winsor & Newton have developed a range of new and improved Griffin Alkyd Fast Drying Oil Colour which offers unique features not found in traditional oils or acrylics. With this range the artist can enjoy all the benefits of using a conventional oil colour together with the convenience of completing a painting which is touch dry within a day. Griffin Alkyd Fast Drying Oil Colour is a genuine oil colour made from pigment and oil modified alkyd resin which can be thinned using conventional oil colour solvents. It is this unique formulation which allows Griffin Alkyd Fast Drying Oil Colour to dry quicker than most oil colours but slower than acrylics. The oil modified alkyd resin binder includes a solvent which is necessary to control the drying rate and consistency of the colour. This enhances the transparency and luminosity of Griffin Alkyd Colour. The binder used also produces a more fluid consistency than traditional oils. The Griffin Alkyd Fast Drying Oil Colour Range has undergone a number of changes and improvements. The range offers the artist a range of 48 colours which are available in 37ml size tubes. Each colour has been specially selected to offer the greatest choice and flexibility to artists and the ability to select the palette which suits their work. Full details are available in the Technical Section. Improvements in lightfastness have been made across the range using new, high durability pigments. All Griffin Alkyd Colours are now rated AA or A and are recommended as permanent for artists’ use. I would recommend this range to anyone.